I’ve been around a bit. Some might even say, a lot. 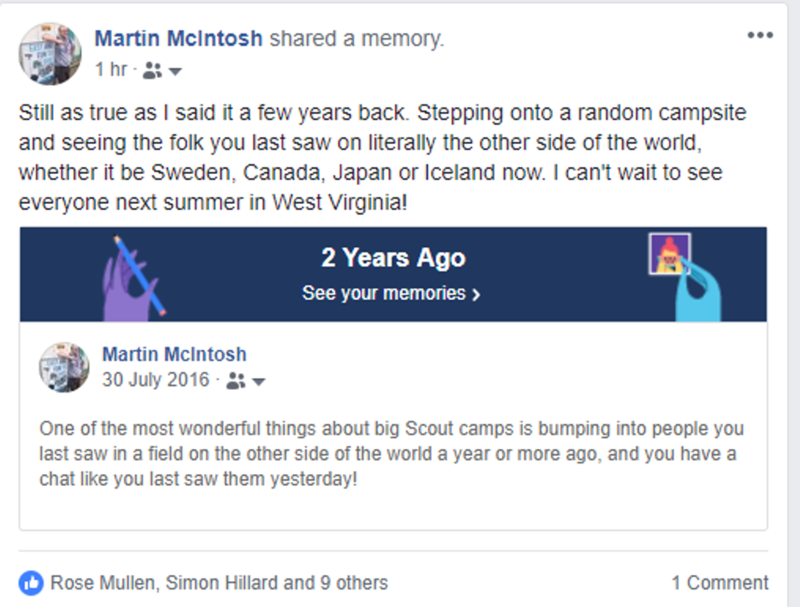 I’ve attended events in Hungary Denmark, Sweden, Canada, Japan, Iceland and Essex, starting before some of our current participants were but two years old (that’s terrifying!). At each of these events I’ve made friends, in fact today is a “Friendversary” (according to Facebook) with a gentleman I worked with in Sweden way back in 2011. 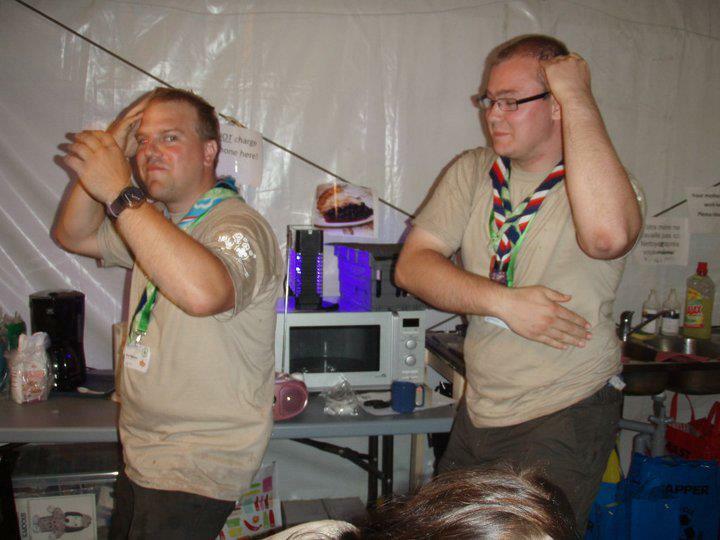 Ruud and I were randomly assigned to the same patrol to work in the Autumn Sub Camp (it was all season themed!) 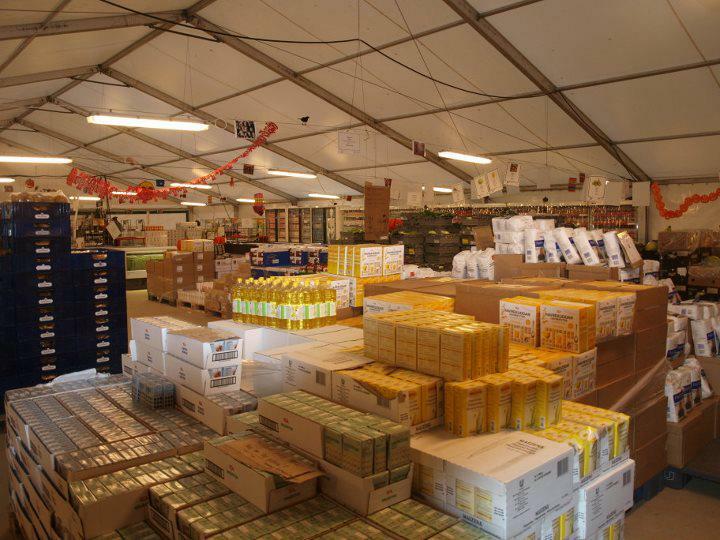 Participant Food Warehouse at the 22nd World Scout Jamboree in Sweden. 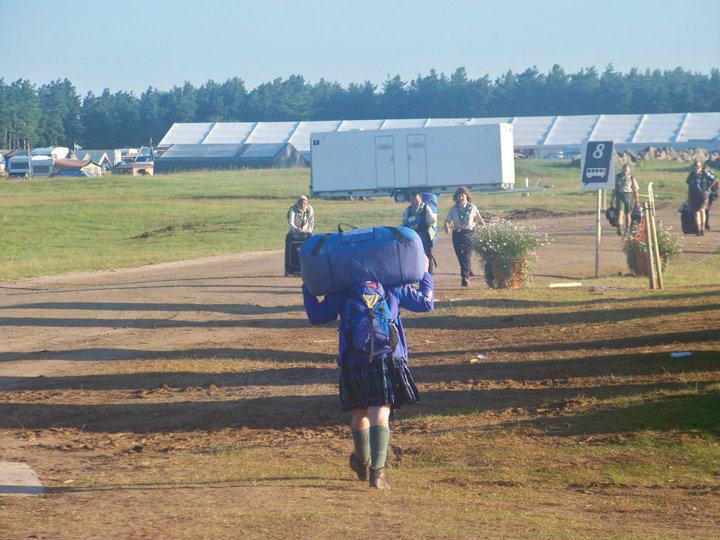 At that particular Jamboree the participant patrols were given a card loaded with “points”. These points had no monetary value but could be redeemed against food in the warehouse so that you could cook your meals. This meant that everyone could cook something slightly different and led to a huge amount of variation in food between each patrol, let alone each Unit. A side shot of the Warehouse where I lived and worked for a fortnight! 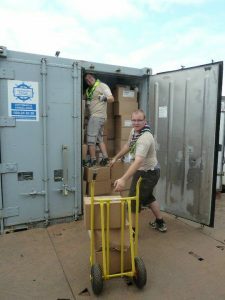 Our job was to unload lorries, stack pallets of every food type imaginable between the various ISO containers acting as fridges and freezers or the dry goods area, and then to put it out on the shop floor so that the participants could empty the stock and we start the whole process again. It was hard labour for the better part of two weeks. There were days when a lorry appeared and all that could be heard was grumbling and swearing as we walked out into the rain to start unloading another twenty tonnes of food. But we did the job. Why? Because if we didn’t then the Young People didn’t eat. 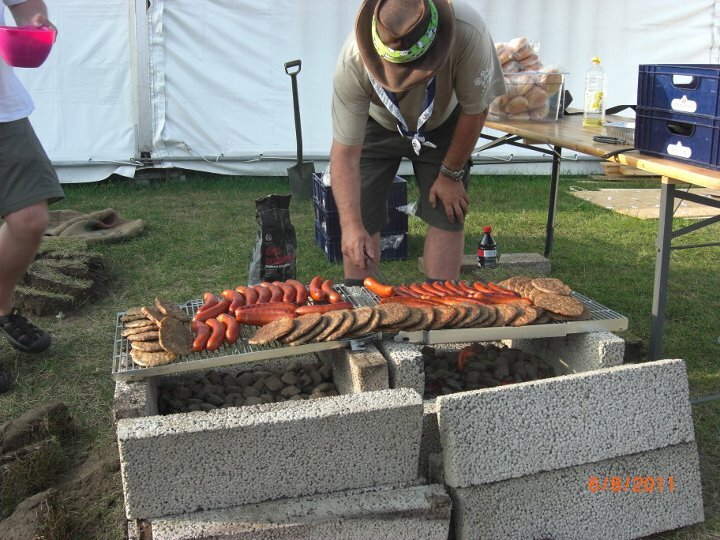 If you were a Participant or a Unit Leader in the Autumn Subcamp way back in 2011, any food you ate is almost guaranteed to have passed through my hands. The point of this post isn’t about IST jobs, but it makes a relevant aside – we are paying an obscene sum of money to go and work ourselves ragged for three weeks in a foreign country. But if we don’t, the Participants, the Young People whom this event is for don’t get the fullest experience they could. And that’s on us. With a Jamboree you get out what you put in. In Sweden I was lucky enough to work with a bunch of folk who were like minded, who knew we had to buckle down and get the work done, but made sure we had a brilliant time doing it. We bonded so well in our first few shifts that we spent almost the entire Jamboree together, spending our off-duty time going around the site, working towards the Adult Friendship Award or just exploring. 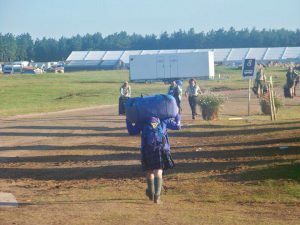 Those people, those friends, made the Jamboree for me. That job could have been awful. It very nearly was a couple of times, but that team, Chris, Ruud, Emma, Paul, Caroline and so many others I could mention, soldiered through and kept us all on top of it. Then came the last day. We were all to head our separate ways. It is perhaps fortunate that I went first to catch a bus back to Copenhagen Airport, because there wasn’t a dry eye as we said goodbye. That could have been the end. It very nearly was. 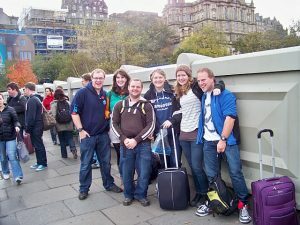 But by shifting heaven and earth and saving money we all met in Glasgow the following October. 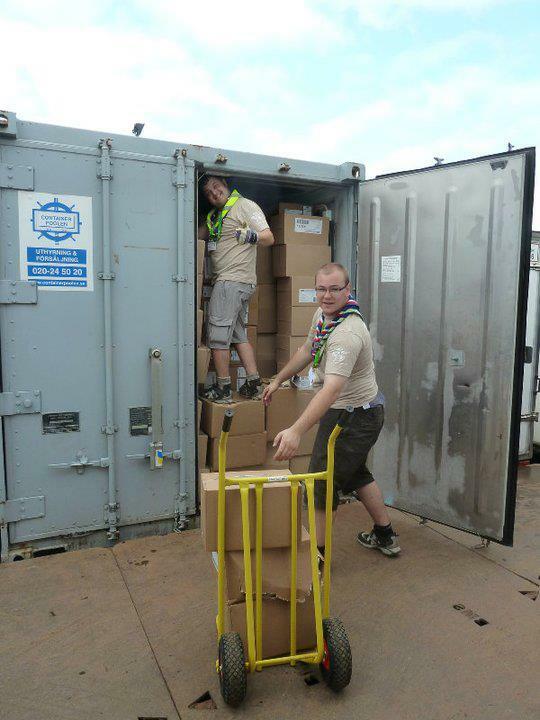 We spent some time in Glasgow, then went across to Edinburgh for the day (I know, I felt a little dirty too…) whilst there we randomly bumped into an Explorer Scout, working a Saturday job in Regatta who had also been out at the Jamboree! Since then? I’ve seen Ruud in Canada and Japan. In Japan he was leading a Unit (or a Troep!) and he’s doing the same to America next year. In Japan we had a reunion, those of us that were there, meeting in Ruud’s sub camp for a drink of cold water (god it was hot) and some Fika – a tradition we’d started way back in Sweden. I’ve bumped into the others at various events. 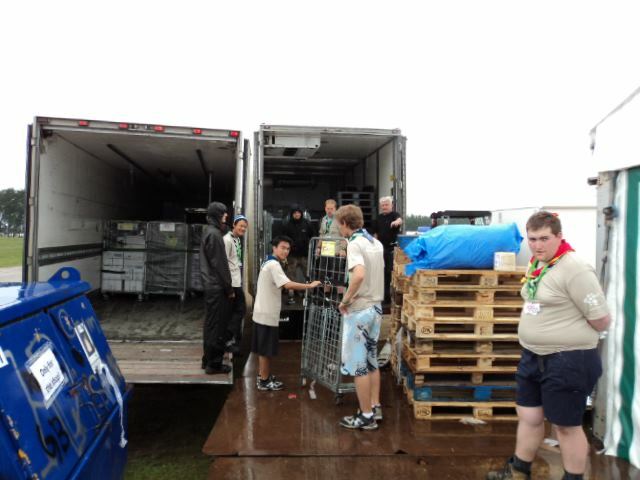 Chris was in Japan and is JPT for America, working again in participant food. Paul’s slept on my sofa in times gone by, and I bump into Caroline at Gilwell Reunion. 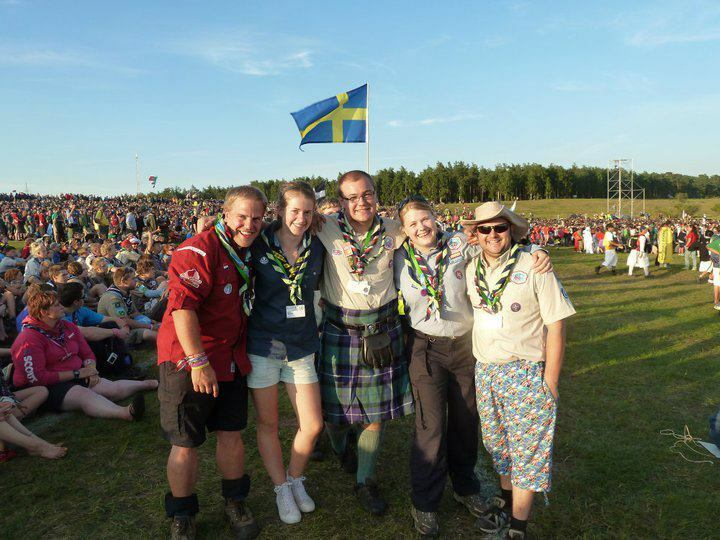 Emma, unfortunately I haven’t seen since October 2011, but we’ve spoken a couple of times and she helped me get some Swedish badges I wanted! Other than a nice trip down memory lane (and trust me, going through all those photos has made me feel all sorts of emotions), what was this post about? 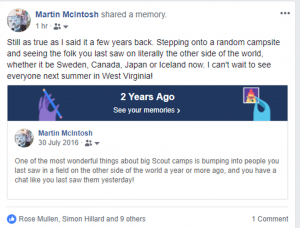 I said that as I arrived at BrumJam in 2016 and bumped into folk I’d spent a lot of time with in Japan, then not seen for a year. Not bad given they lived in South Wales… The guys who run this site with me, Lyndsey and Matthew, I met through internationals – Lyndsey back in 2013 and Matthew in 2016 before the Iceland Moot. We’ve been through the experiences of Jamborees and Moots together which forms a particular bond, beyond other friendships I have. 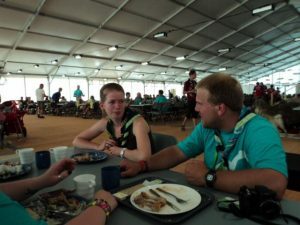 And that’s not unique to me, it’s something I’ve heard time and time again about friendships forged out of Scout (and Guide) camps and international trips. I could rhyme off a whole list of people who I consider friends through Scouting events. And to me, that sums up Scouting (and Guiding) friendships – family you’re yet to meet. So, once we hit Summit Bechtel, West Virginia, get out there and make friends. Whilst you can’t physically meet everyone who’s out there, you can meet some, and they might just change your life. The Scooby Gang at the Culture Day Ceremony in Sweden. Martin this is brilliant. So wish I was going to America.